People who are passionate about homes prefer to personalize the furniture according to their lifestyle. Modern Kitchen Cabinets can be tailored to perfection, maintaining a good compatibility with the way you live and trends you prefer. Kitchen cabinets can be incorporated into the available space quite judiciously, maintaining the architectural splendour of your home. 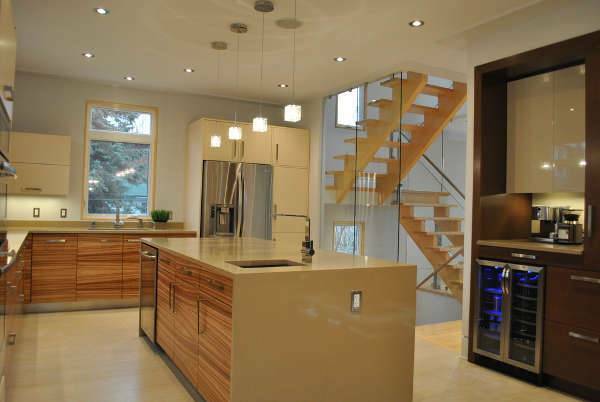 The wall colour, floor design and kitchen lights should complement the cabinet designs. 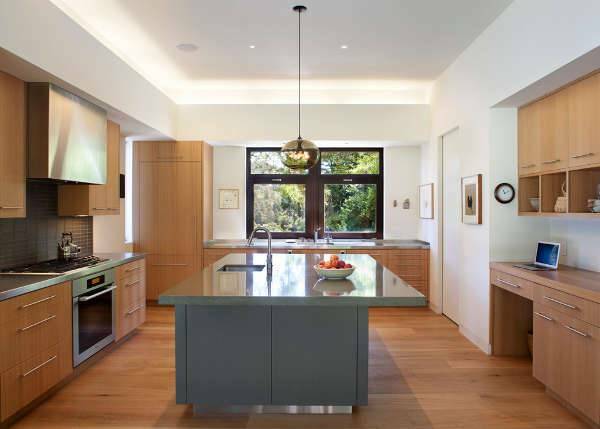 Here are ten designs for modern kitchen cabinets that you can opt for. The white colour has inspired a number of cabinet designs for kitchens. 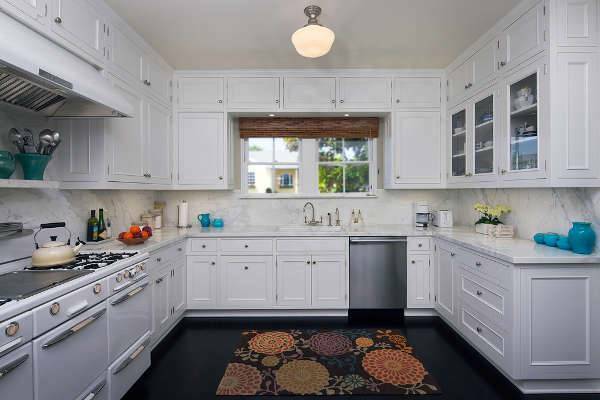 The white wall cabinets can be complemented with the ones on the floor. If you design white kitchen cabinets in your kitchen, get a wood-finished floor in order to yield a good visual element through colour contrast. Glass kitchen cabinets look light and elegant. You may choose frosted glass for these cabinets, or go for coloured ones or black glass, in lines with the wall colour. These cabinets look better if you have a bright coloured tiled countertop. You can even use plain glass with white frame. Wood cabinets are refined with their natural elegance. You can opt for polished wall cabinets or rustic ones. The wall cabinets can be arranged in a ‘U’ shape in order to optimize the space. You can also opt for burnished wood if you have a modern kitchen and complement it with bright pendant lights to yield the shine. 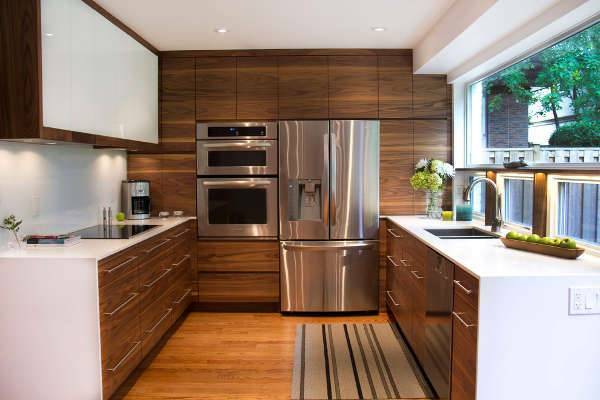 Walnut cabinets are elegant, and when you have a matching wooden floor in your kitchen you yield the perfect look. 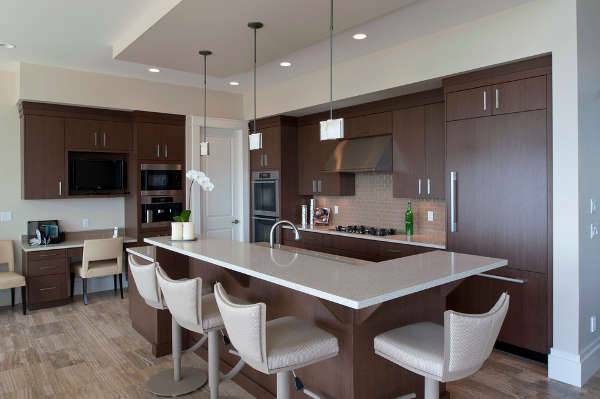 You can incorporate low walnut cabinets on both sides of the floor and use the vertical space of the room by arranging wall cabinets over this sections. Walnut cabinets also look good when they are fixed in the corners. These cabinets look beautiful in modern rooms, especially when you have golden pendant lights. You can opt for a polished wooden floor in order to boost up the overall beauty of the room. These cabinets can be fitted with small drawers with steel handles. You can also arrange chairs for sitting when you have this setting. Even if you have limited space in your kitchen, you can opt for a spacious cabinet. Use the corners of the room to place the cabinets. You can go for an ‘L’ shaped floor cabinet and polish it to use the space judiciously and add to the beauty of the kitchen simultaneously. Dark kitchen cabinets look elegant indeed. Especially if you have a hardwood floor to complement the cabinets, you can definitely design a dark wooden cabinet on the walls. 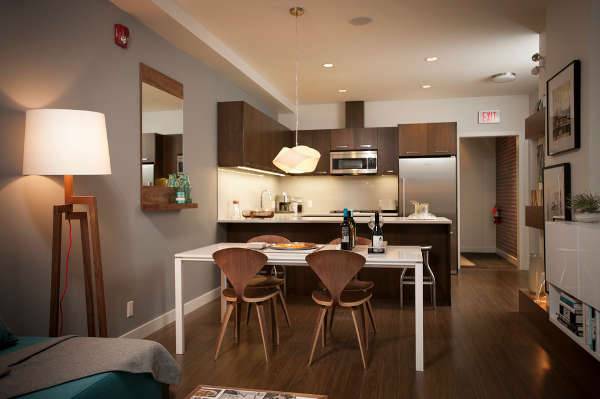 These tall cabinets look even more cultured when you have bright pendant lights in the room to let the shine glow. These cabinets can be customized as per the interior of the kitchen. You can incorporate a grey coloured cabinet on the floor if you have white walls. Use the upper surface of the cabinet as a countertop and get matching furniture to complement the looks of the cabinet. These days, people prefer tailoring the kitchen cabinets as per their taste and requirements. You may arrange for a set of steel or wrought iron racks for the purpose and install metal doors to keep them covered. The grey coloured cabinets are used in commercial kitchens, particularly if you have white walls and brown floor. You can opt for wall cabinets as well as floor cabinets, if you prefer steel to other materials. The steel cabinets look elegant when they are coated with grey. 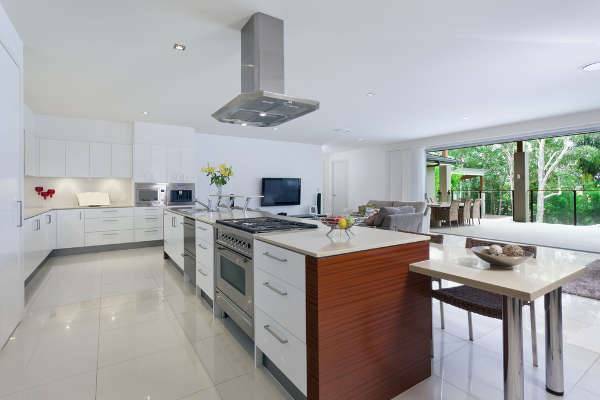 The kitchen cabinets can be customized as per the taste and aptitudes of individuals. You may like black kitchen cabinets or the white ones. 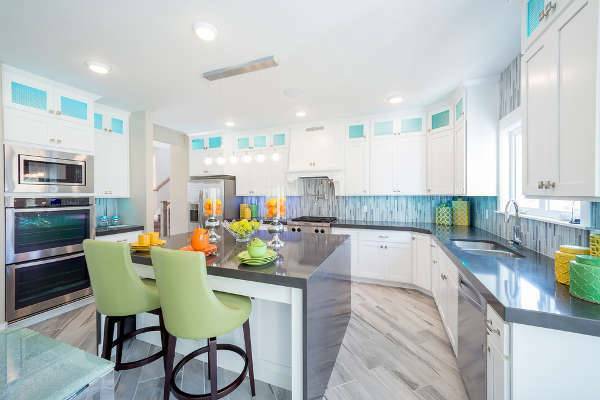 Even kitchen cabinets with coloured glass have become a part of the trend. If you have a wooden cabinet, you can be experimental with the polish and burnish. Share your ideas with us, if you come up with something innovative.